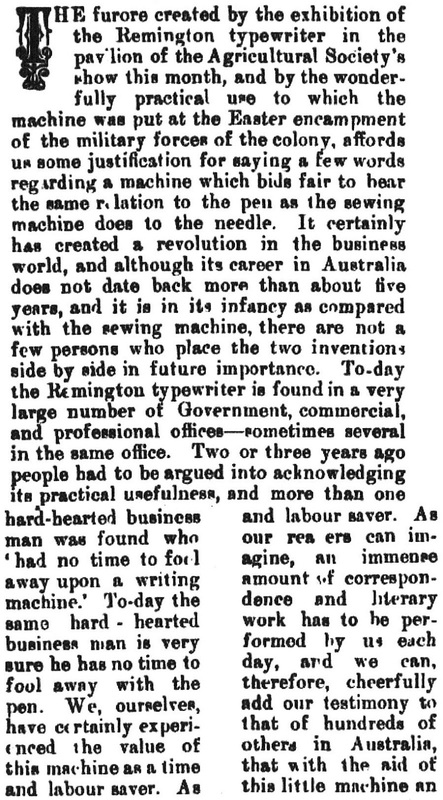 For those interested in the history of typewriters in Australia, I may have caused a little confusion the other day in my post on the Remington "Soxy", which mentioned the Chartres family. 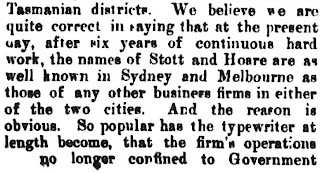 In that, I said the Chartres brothers had taken over the Australian franchise for Remington by acquiring one of the Stott companies. 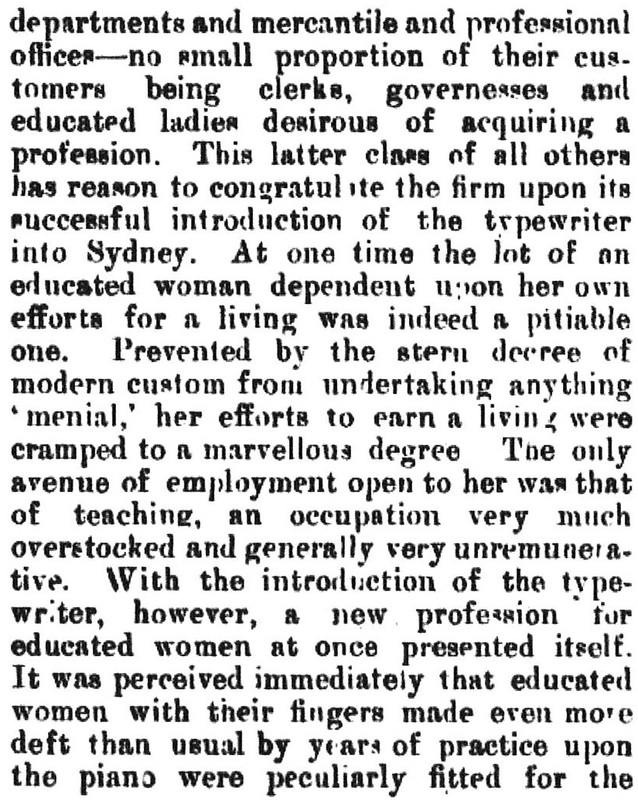 This engraving appeared with the Illustrated Sydney News article in 1890. 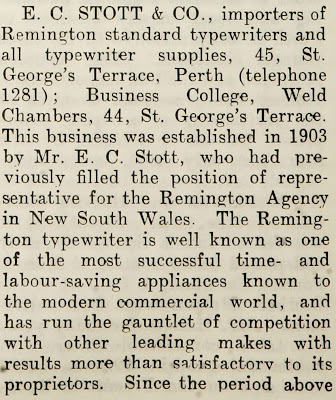 The name "Remington" can just be made out over "Stott & Hoare" on the banner at the back of the display. 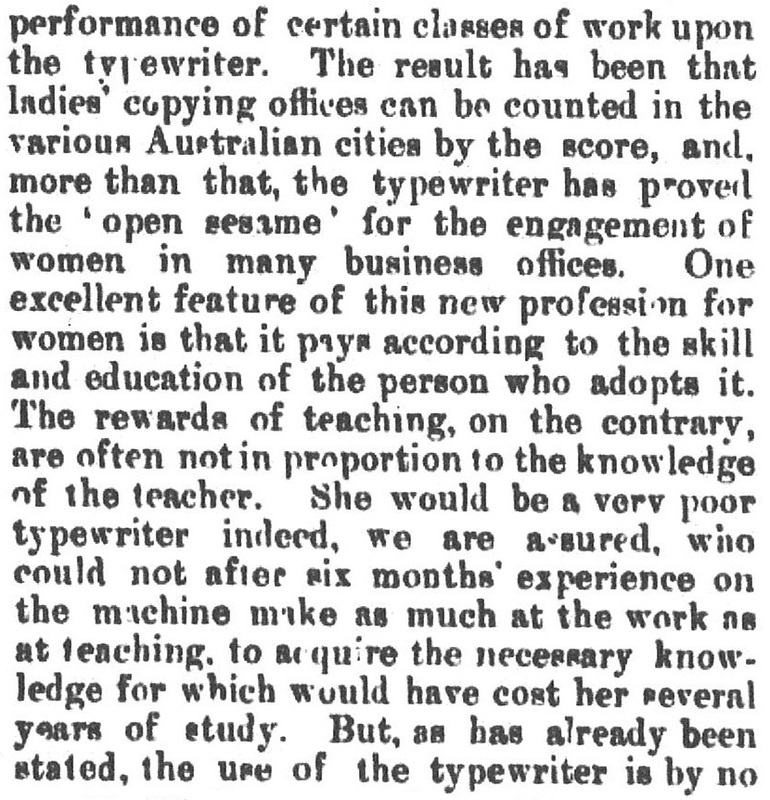 This is the earliest known engraving of typewriters being used in Australia. It is a confusing story, one which has taken me six years to unravel, and I'm still not fully there yet. I do hope that, along the way, I haven't already muddied the waters too heavily for anyone trying to follow my progress. What we do know for certain is that between them, the six Chartres brothers and the two Stott brothers held, from 1885 until 1962, an almost complete stranglehold on the Australian typewriter trade. One notable rival was MacDougalls, and the founder of that company, Andrew MacDougall, had married into the Chartres family. His wife was the former Alice May Chartres (1880-), younger sister of Chartres company founder Frederick Aylwin Chartres. 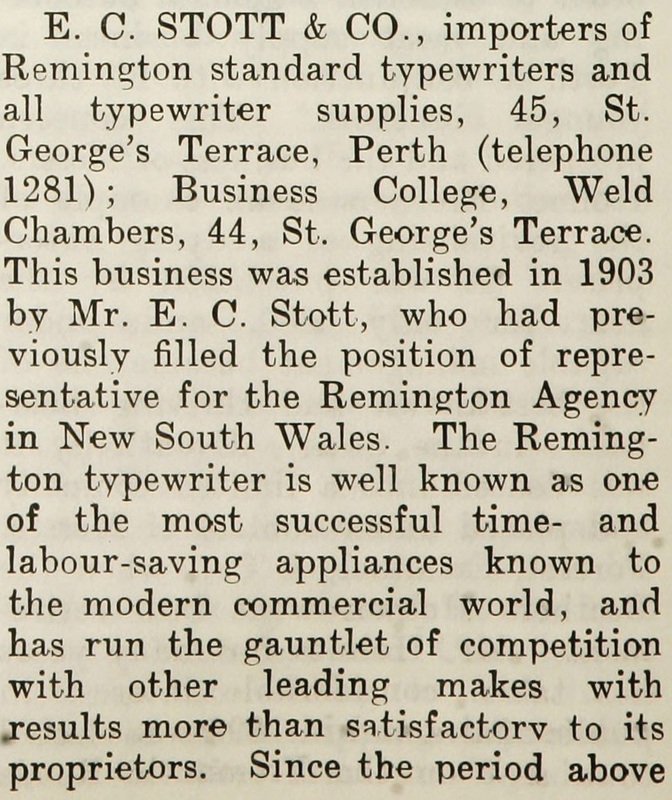 As typewriter business began to really blossom in Australia between the two world wars, it was dominated by two brands - Remington, sold by Chartres, and Underwood, sold by Stott & Underwood. 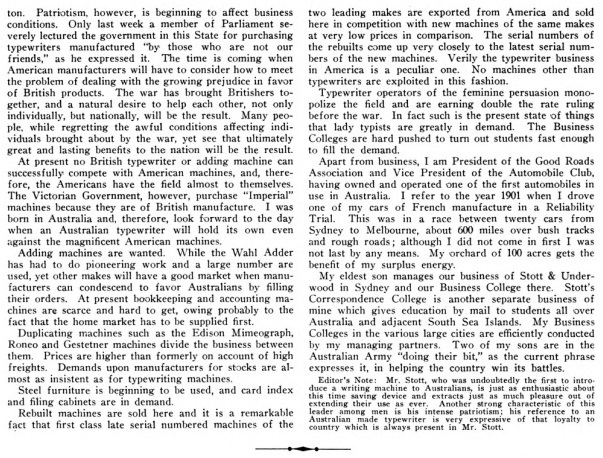 In a 1917 article in Typewriter Topics, Stott boss Leonard Sydney Henry Stott (always known by his middle name, Sydney) claimed he had switched camps in 1909, believing Underwood held the more profitable future. He suggests he did this on his own volition - in other words, that he willingly handed the Remington deal over to Chartres. 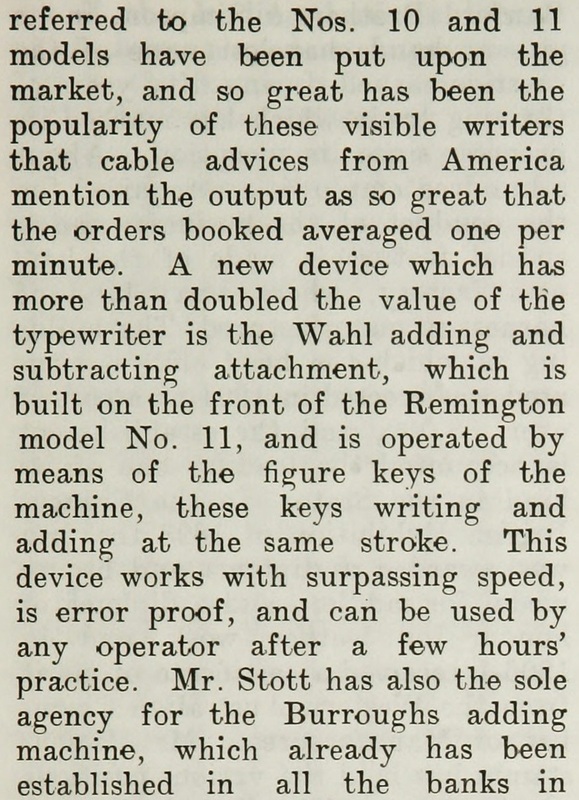 The evidence suggests, however, that Stott was forced to go into partnership with Underwood by the loss of the more established Remington franchise. 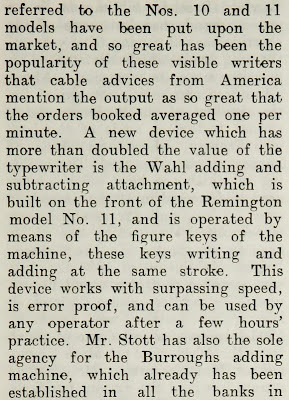 Whatever the truth of about the Remington franchise, Sydney Stott did not introduce typewriters to Australia, as was claimed in a footnote to his Typewriter Topics article ("undoubtedly the first"). That had been done in 1875, by first George Witherage Cotton in Adelaide and then Sigmond Hoffnung in Sydney, and the following year by William Henry Masters in Melbourne. 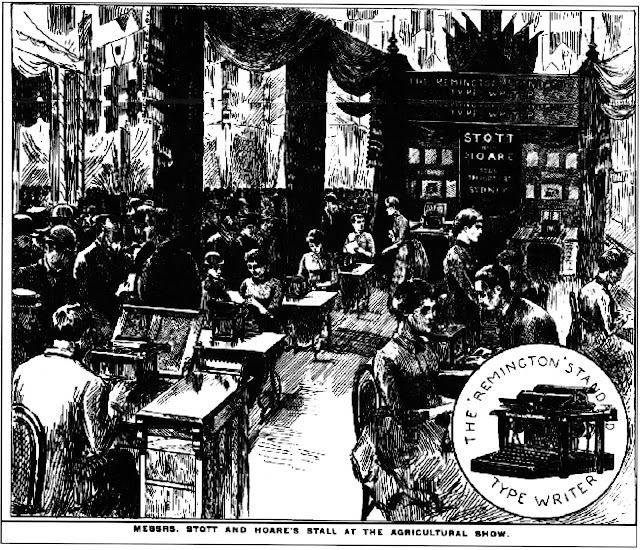 Stott shipped in his first Remington typewriter from London in 1883 and in 1885 was approached by Clarence Walter Seamans, head of Wyckoff, Seamans and Benedict, to became the sole agent for Remington in Australasia. The Sholes & Glidden in the Powerhouse Museum, Sydney. It was given by Remington to Chartres. 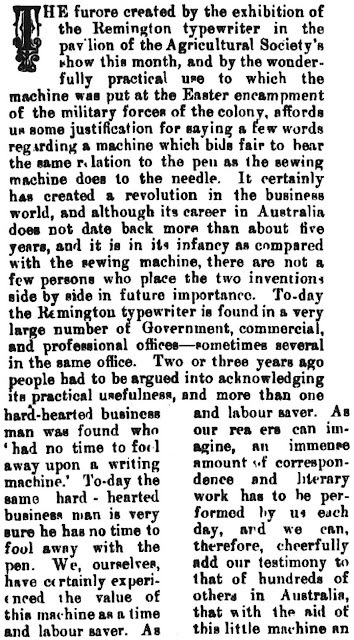 There was, happily for any researcher delving into this muddled history, only one Chartres typewriter business, and its close association with Remington for more than half a century from 1909 led to Remington typewriters being assembled in Australia. Also, a Sholes & Glidden given by Remington to Chartres was later donated to the Powerhouse Museum in Sydney. With the death of three of the four surviving Chartres brothers in successive years in the mid-1950s, Remington-Rand gained greater control. 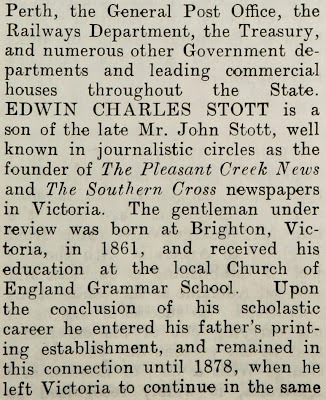 There was more than one Stott company, and this is where things get murky. 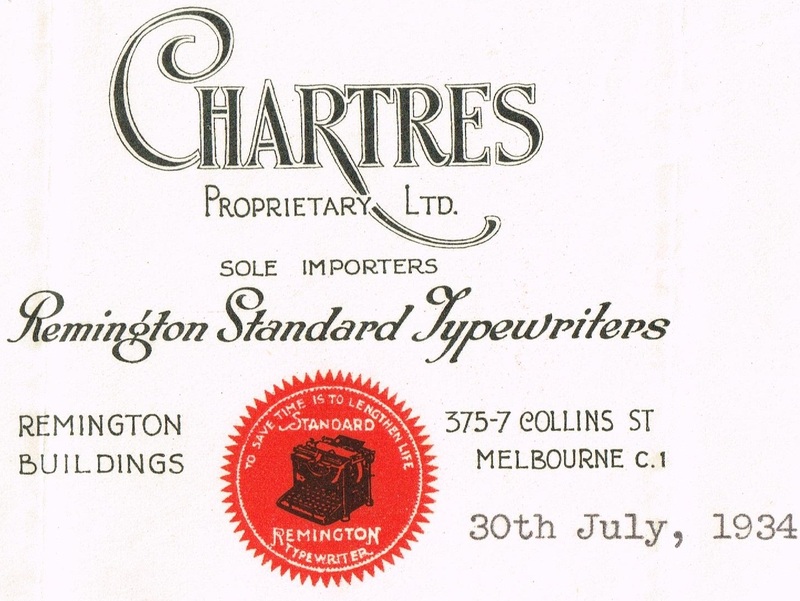 One of the Stott companies, a business school in Sydney, was acquired by Chartres, which continued to use the trade name but which gained the Remington agency under its own name. 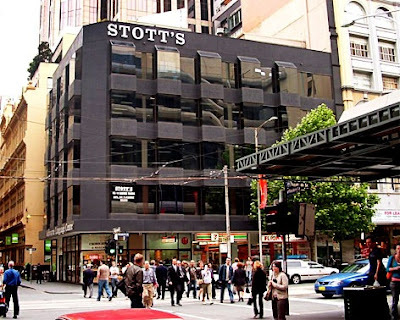 Other Stott businesses remained under Stott control, such as in Melbourne, Adelaide and Perth. In Sydney, Sydney Stott's son, Sydney Alexander Stott (1885-1967) re-established a Stott business school, and after the death of his father in 1927 took over the typewriter importing side of the Stott business. This photo of a Remington delivery van was taken near the Anzac Memorial, across Liverpool Street from Chartres Ltd's Remington House in Sydney. The writing on the door is very revealing. It says "Stott & Hoare, Chartres Ltd, formerly [as?] 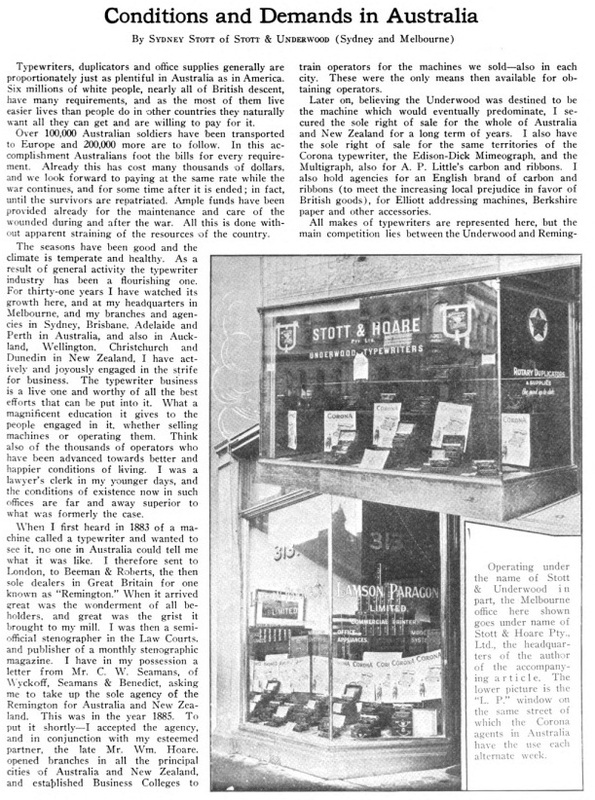 Stott & Hoare ..." This was the firm through which, in taking it over, Chartres acquired the Remington franchise. 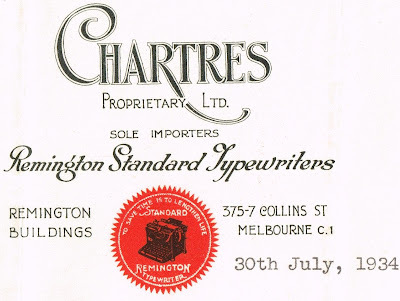 Chartres also ran its own very successful business colleges, like Stott in tight connection with typewriter importation from the United States and distribution throughout Australia. The Stott Business School exists to this day, on lower Elizabeth Street in Melbourne. Chartres has long since disappeared as a trade name (it is owned by Pitney Bowes). 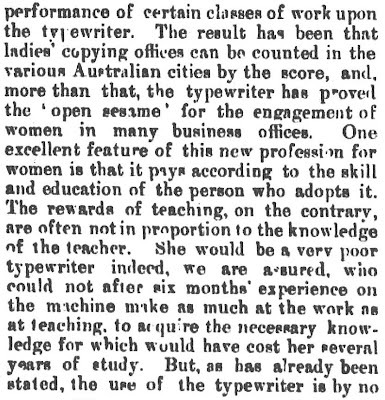 In 1881, Edwin Charles Stott (born Brighton, Victoria, 1861; died Claremont, Western Australia, September 24, 1932) returned to Melbourne from New South Wales, set up an importing business and acquired one of the first franchises in Australia for an American typewriter - the Caligraph (the year the Caligraph first appeared). 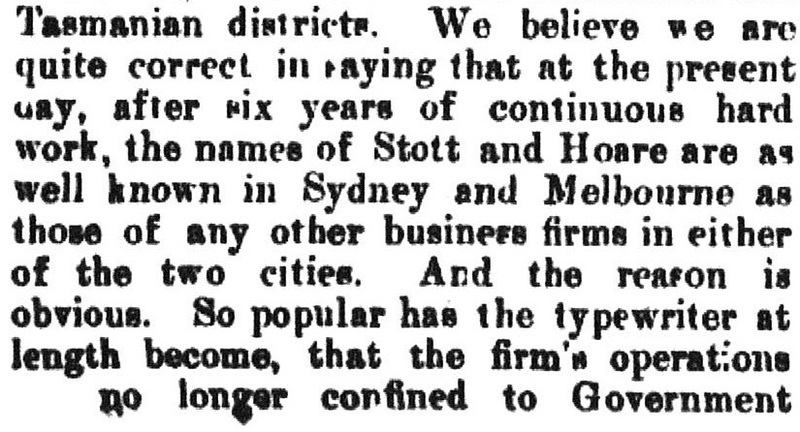 Stott then transferred this franchise to his older brother, Leonard Sydney Henry Stott (born Ballarat, August 14, 1857; died Wheeler's Hill, Victoria, October 7, 1927). This Caligraph, now in Museum Victoria's ScienceWorks in Melbourne, once belonged to the Melbourne Argus newspaper and was almost certainly sold to the Argus by either Edwin or Sydney Stott. Sydney Stott established Stott & Hoare with William Hoare. This pair relinquished the Caligraph agency in favour of Seamans' offer to take up the Remington franchise. They also founded business colleges around the country. 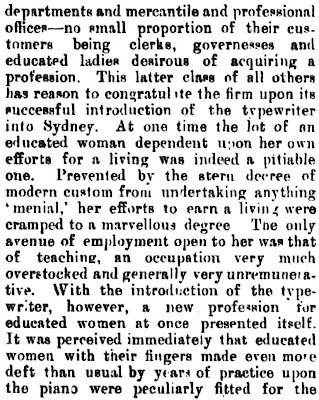 From 1897-1902 Edwin Stott was the Remington representative in Sydney. 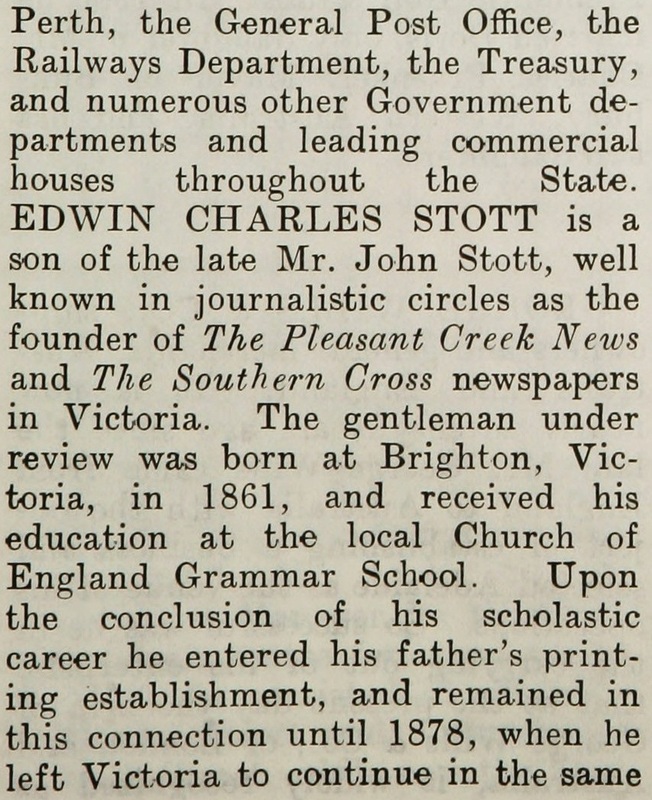 In 1903 he moved his business to Perth, Western Australia, where he also ran the Stott & Hoare Business College. Meanwhile, in Melbourne ... 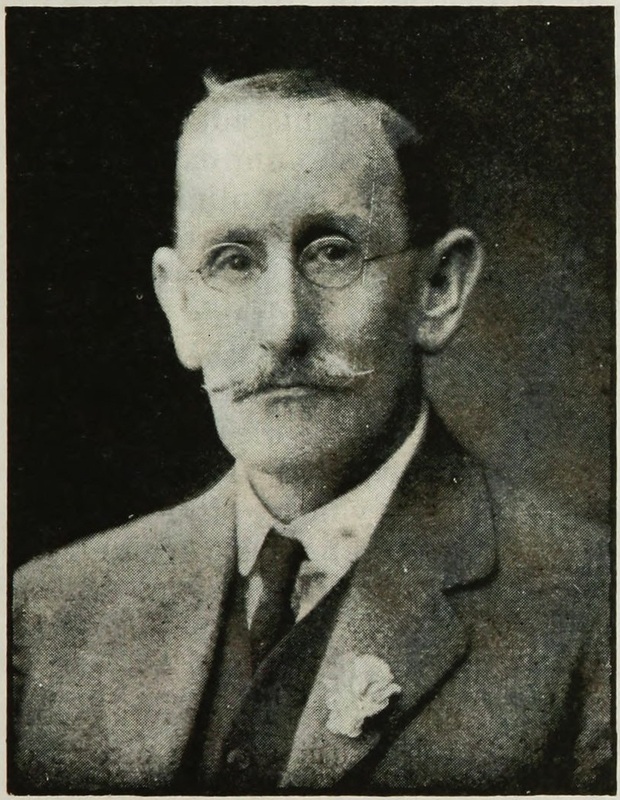 In 1895 Frederick William Zercho (1867-1953), a licensed shorthand writer, became manager of Stott & Hoare's Business College. 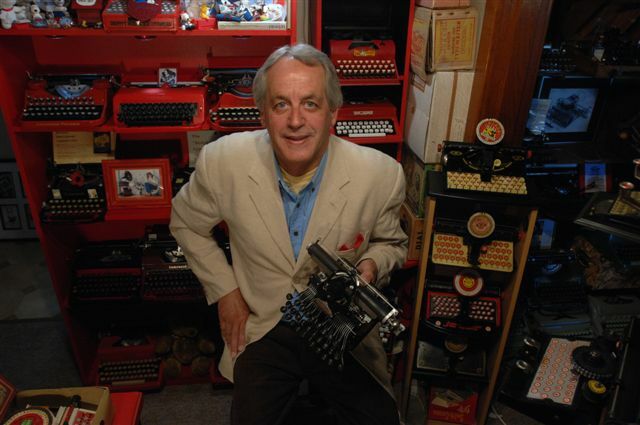 The next year he joined the United Typewriter Company as head teacher at its Central Business College. 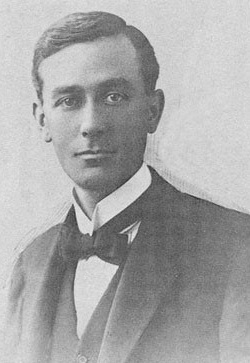 In 1906 Zercho and his former CBC assistant Andrew MacDougall became co-proprietors of Zercho's Business College, first in Flinders Street, Melbourne, and from 1911 in Collins Street. It became the largest business college in Australia. 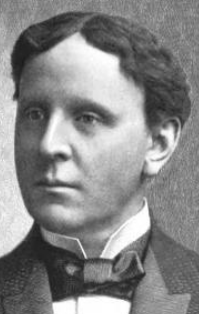 In 1909 MacDougall, married into the Chartres family, sold his share in Zercho's Business College to the Chartreses, who took up a majority interest in the college. Zercho retained 100 shares and the position of headmaster, while becoming a director of Chartres. 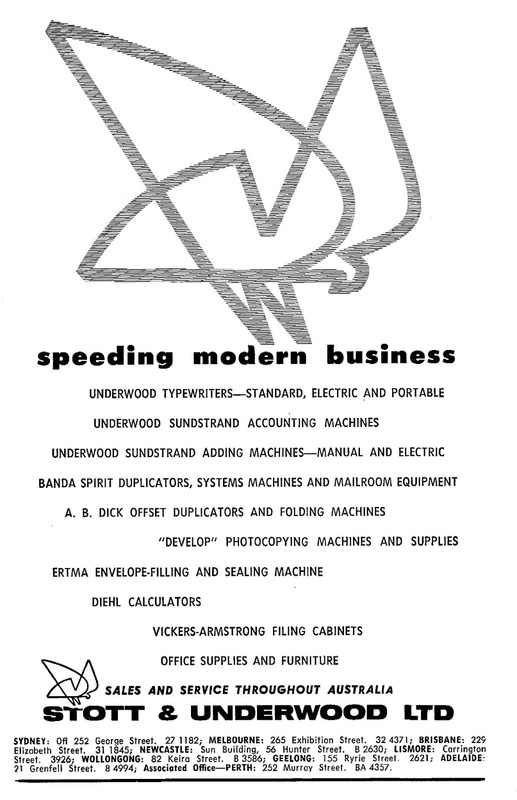 The Zercho's business name was retained. 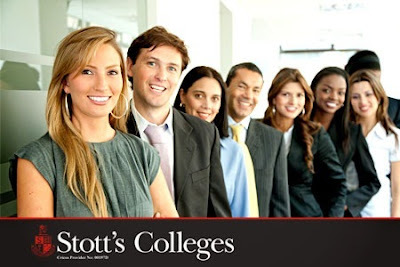 Following the death of Sydney Alexander Stott, in 1968 the college was sold to an independently-owned Stott's Business College. This is the arm which continues to operate in Melbourne. Still confused by all this? Imagine how I feel after six years of trying to sort it all out. Thank you so very much for your blog and all the delving and digging that was involved. 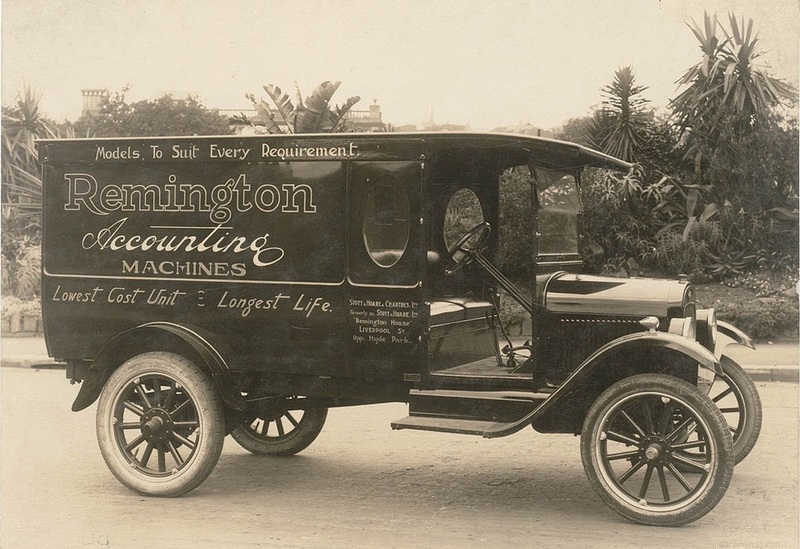 Of particular interest was the photo of the Remington delivery van. 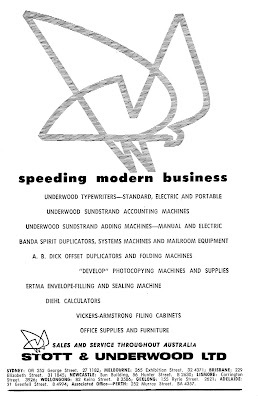 My husband worked for RR when Contex calculators were being launched circa late 1960's. Later on his own, sold typewriters and all things related, fax machines, and eventually Canon colour copiers, and later still hardware and software for supermarkets.